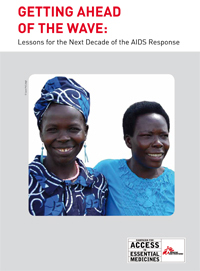 While several countries hardest hit by the AIDS epidemic are improving HIV treatment protocols to reduce deaths and illness, a lack of support from donors prevents many from implementing vital changes. Doctors Without Borders/Médecins Sans Frontières (MSF) began providing antiretroviral treatment (ART) for HIV/AIDS in 2000 in Thailand, Cameroon, and South Africa, to a limited number of people in urgent need of treatment. At the time, doctors and nurses faced very sick patients in over-crowded waiting rooms. Initially providing treatment in dedicated HIV/AIDS projects, MSF has increasingly decentralized HIV services, including prevention, treatment and care, into primary healthcare facilities and partnered with health ministries to deliver care. Over the past decade, we have witnessed time and again how treatment dramatically reduces illness and deaths in the communities in which we work. Today, MSF treats more than 170,000 people in 19 countries, and some MSF projects have been able to reach and maintain so-called ‘universal access’ to treatment in their districts. Looking beyond MSF, the past 10 years have seen considerable progress. The major mobilization of donors triggered by UN Secretary-General Kofi Annan’s call for a “war chest” to fight the epidemic ushered in an unprecedented international effort to provide care and treatment in some of the most impoverished and hardest-hit countries in the world. 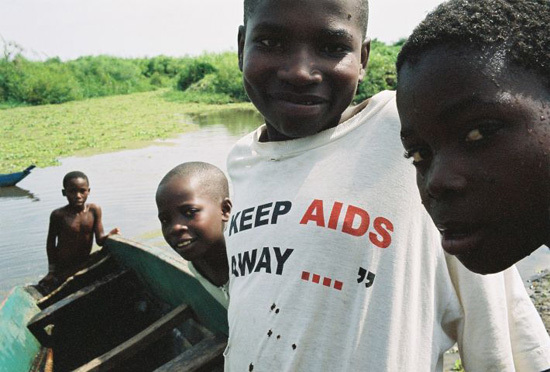 The Global Fund to Fight AIDS, Tuberculosis and Malaria was created in 2002, followed by the US Government-led President’s Emergency Plan for AIDS Relief in 2003. Together, they provide treatment to 81percent of the more than six million people who are alive today because of ART.